MATCHING GIFT CHALLENGE! Right this moment, FIFTY senior dogs and cats are currently being cared for by Young at Heart. 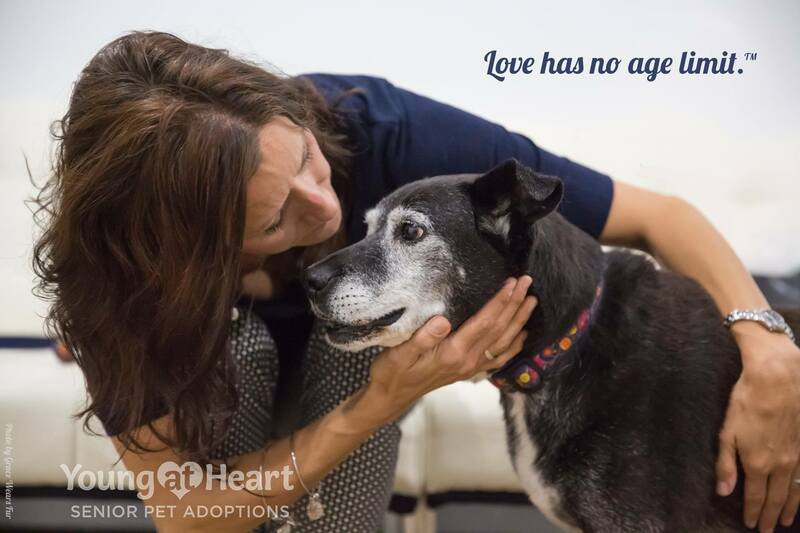 Fifty senior pets that are here today because you believed that they deserved a much happier ending than spending their last moments alone in a cage at animal control. Fifty senior pets that will get to enjoy their golden years, comfortable and loved. Like 11 year old Martha pictured here, each and every one of these sweet senior pets has you to thank for making their rescue possible. There's still time to make a tax-deductible donation for 2017. With your help, 2018 we'll be able to care for even more senior pets that just want to spend their golden years wrapped in the arms of someone who loves them. Donate by 12/31/17 and an Angel Donor will MATCH your gift dollar for dollar up to $10,000!